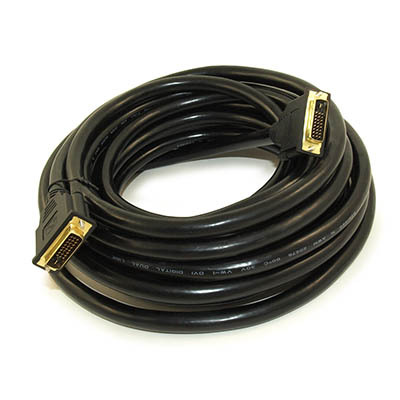 This cable is NOT suitable for DVI-A (analog) connections as the HDMI standard is SINGLE LINK DIGITAL ONLY. Photo shows product WITH ferrite cores. 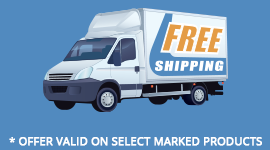 Actual product supplied is WITHOUT ferrite cores. The DVI connector usually contains pins to pass the DVI-native digital video signals. In the case of dual-link systems, additional pins are provided for the second set of data signals. As well as digital signals, the DVI-I connector includes pins providing the same analog signals found on a VGA connector, allowing a VGA monitor to be connected with a simple plug adapter. 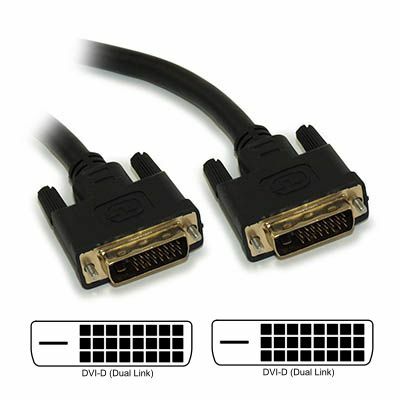 This feature was included in order to make DVI universal, as it allows either type of monitor (analog or digital) to be operated from the same connector.